I finally had a U4 session where each player had an adult partner. And it worked like a charm. In keeping with LTPD, I ran the session framed by the development stage "Active Start". Getting parents to realize they were actually helping was not difficult. Everybody was ready to go and very co-operative. I think some really enjoyed themselves. When I show up to guest coach an outdoor U4 session, many parents are in sandals or have other children to tend to, so getting a 1:1 adult ratio is difficult unless the coach sets the standard for the season. We started off with simple games of tags where the parents chased the kids and vice-versa. That was followed up by a series of activities to promote familiarity with the ball and forcing certain movements (dribbling, turning, running with the ball, etc). Every activity involved the parent as a partner. We ended it all with 2 small sided games. I wouldn't exactly call them "games" but rather "slight chaos, with uniforms". It's a good exercise because it starts to introduce the idea of teams, field shape, goals, etc. But very few of the players understand the concept of a game. Why parents as partners? Your goal for the session is that each player is comfortable and getting as many interactions with the ball as possible. If you've ever run a U4 session you know that some kids wander away and go where? Their parents. With the player's parent there and active, your player is active and participating in every activity taking place. After drink breaks, I informally explained to the parent partners what the goals were of most of the things we were doing, but the general message was simple. Any activity that allows the player to develop a relationship with the ball and learn to manipulate it with different parts of either foot is good. The session lasted 50 minutes including water breaks. The Active Start outline suggests 30-45 minutes. Our game was no longer than 10 minutes and that was about enough. I lost a few minutes getting parents into the role of 1v1 assistance during the practice and getting the players into a set area but I was happy with how it went for my first interaction with this groups. I was pretty relaxed about parents going off on a tangent to see what they would do, and I was impressed. Most parents of the children who strayed kept playing with their child, using their personal play time to get them back into the group. All with the ball on their foot. The most difficult part of LTPD, and Active Start, is for parents to forget their adult perceptions of sport. The players have so much to learn, physically and technically, before presenting anything that might resemble a game. Most 4-year-olds do not understand "us against them" and "we score in that net and defend this one". They all understand comfort, fear, love and fun and training should revolve around those points. As players in the Active Start stage move towards 6 years old , you can introduce more activities that do not require parent partners. But for U4 you should involve parents as much as possible. How a 90 minute presentation unsettled my understanding of the female athlete. My confidence in coaching females is still there, but now I know more and feel I can offer more over a season(s). I take this quote from an article: "Much of our understanding about training programs and other strategies used to build an elite athlete have been taken from research studies using YOUNG ADULT WHITE MALES (18-25 years of age). The results of these studies have then been directly applied to female athletes, regardless of age." Rather than share what I think is correct, I will just offer links to information from real experts. If you coach females, you owe it to them to educate yourself. This past weekend, fifty Learning Facilitators for the Ontario Soccer Association gathered for our yearly workshop. As a group we deliver coaching education across the province. We spent time on the field and in the classroom reviewing improved delivery methods, new material and sharing experiences. There is one thing that always happens when we convene: We have great chemistry as a group and our time together is very enjoyable. This makes the weekend fly by and sets a great envinronment for learning. We learn a lot from our workshop leaders and formal materials given to us, but the majority of the learning comes from the group during discussions and post-session debriefing. This is holding with the spirit in which we are to facilitate our courses to learning coaches. The old method used in coaching education was "I speak - you listen". The new approach introduced last season has the course leader put the material and course in the hands of the learner. Our very titles reflect the new methodology. The position was called "Course Instructor" and is now known as "Learning Facilitator". With the implementation of LTPD, a lot of the coaching education program was changed to match the philosophy. From administration to curriculum to content delivery, the workshop kept moving forward and was busy the whole way through. The OSA is certainly not complacent when it comes to coaching education. A lot of work goes into the development of the program and its delivery agents out in the field. The LFs in the Ottawa Region gather for the same educational experience in January 2013. I look forward to sharing information with new coaches during our courses. Stay tuned to The Ontario Soccer Association for upcoming coaching courses. I didn't even notice that my visitor count rolled past 5000 on the weekend while I was away. Thanks to the people who constitute the 5000. Blogger is set to not track my own visits so I know it's not me. The visits all came in just below a year and 75% of that has been over the last 6 months. As a coach and educator, I am happy that somebody is enjoying what is being shared. I just write about what I've been doing with soccer or whatever pops in my head with respect to coaching. It's been fun and useful at the same time. As a nosey coach with an IT background, I find the some of the stats interesting. I didn't start to use Social Networking to advertise the Journal until June 2012. The top search string on Google bringing my page up is my name. 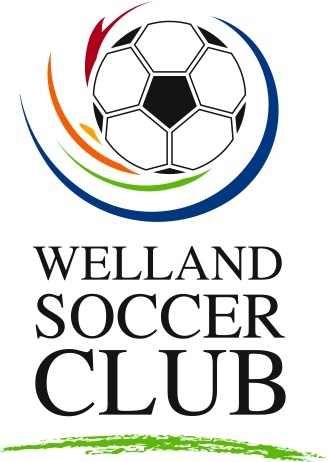 There are numerous searches for items related to soccer coaching, LTPD, Welland, etc. As an IT guy this is something I always keep track of. Thanks for your support. We'll see where this project goes.